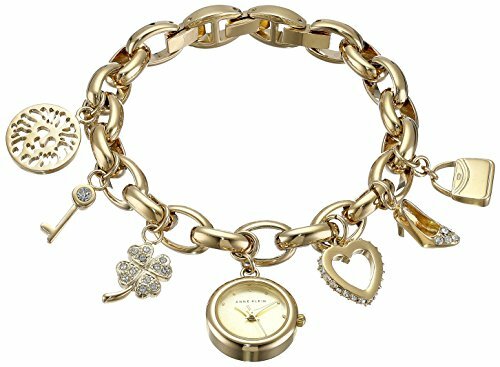 This great charm watch is fun and flirty pairing a casual, open link gold tone bracelet with dressed up charms. The polished finish, gold tone AK logo and handbag charms join a key, clover, heart and shoe charm that sparkle with clear genuine Swarovski crystal accents. Bracelet fastens with a jewelry clasp and has an inner circumference of 6" and includes two extender links. 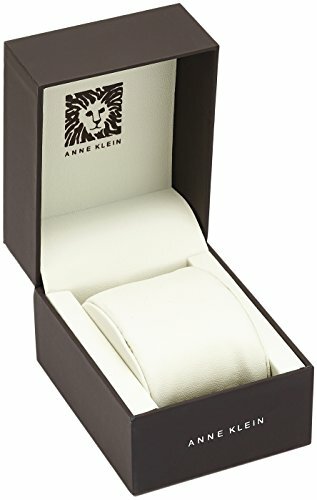 AK Anne Klein is the leading ladies' fashion watch brand. Incorporating current trends and classic timepiece styling, AK Anne Klein offers a full line of ladies' watches at competitive prices. The brand has broad appeal and has built a loyal customer base over its 35 years of success. All AK Anne Klein watches are made with only high-quality materials.